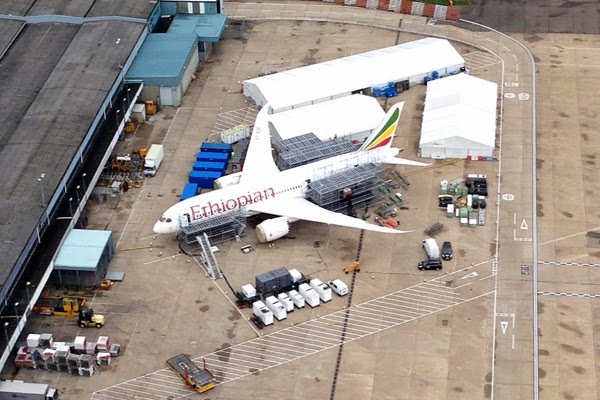 From start to finish 2013 was as jam packed as an airliner during the holidays with news about the Boeing 787 Dreamliner. When I wasn't writing about whether the forced grounding of the world’s newest airliner was justified or an overreaction by persnickety air safety agencies, I was writing about the equally polarized debate over the use of electronic devices onairplanes. 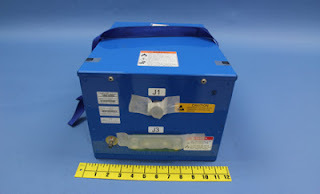 We depart 2013 with lithium ion batteries whirring away – safely contained we are told – in specially designed boxes on the highly electric 787 while inside the cabin of that airplane and many others, passengers use lithium ion battery-powered gadgets for all the things they’re good for on the ground, with the exception of actually making phone calls, though that could be next. Travelers, egged on by The New York Times technology writer, Nick Bilton, asked for and got gate-to-gate-gadget use. Electromagnetic interference as a safety issue has been given a sharp thumb-drive to the heart, but whether that Dracula will come back to haunt us remains to be seen. 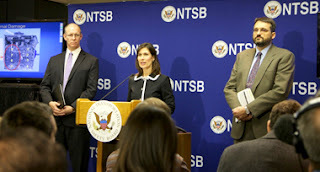 In April when the National Transportation Safety Board held a two-day forum on the fire-starting properties of lithium ion batteries board chairman Deborah Hersman opined in notable understatement that that “The genie is out of the bottle, we’ve got to figure out how to mitigate these risks.” As an aside, one impressive witness on day one was Tesla engineer Celina Mikokajczak. Okay while her name is practically unpronounceable she gave a stunningly easy-to-understand presentation explaining the risks of lithium ion and illuminating the safety practices of her employer. She reiterated the theme of her boss, Elon Musk, who in the early days of the Dreamliner battery mess offered his company’s expertise to Boeing. How ironic then that the tables were turned just five months later when Tesla electric cars started igniting. Even more odd, on October 1, when Rob Carlson’s Tesla S erupted into flames on the exit ramp off a highway in Kent, Washington, one of the first people on the scene was Steve Emmert, Boeing's Steve Emmert, who’s Linked In profile describes him as a director at Boeing Commercial Airplanes responsible for environmental strategy. Oh to have been a fly on the wall when Steve arrived for work with the story of what happened that morning. I have to wonder, did watching the fire department wrestle with that blaze, which intensified with the application of water, rekindled repeatedly and required jacking up the car and using a circular saw to extinguish, dampen Emmert's enthusiasm for the use of lithium ion batteries as a power source in aviation? 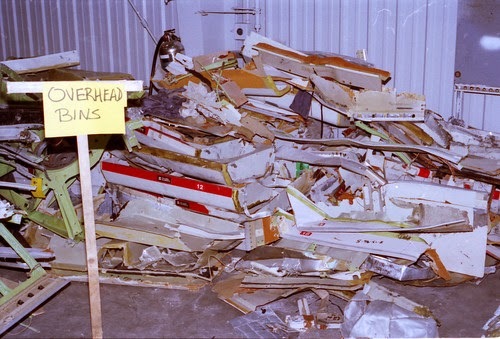 Speaking of fires, the controversy over the true cause of the crash of TWA Flight 800 rekindled in 2013 when a documentary claiming new evidence aired on television. Don’t discount as a shameless plug for viewers, the motivations of the folks involved who petitioned the NTSB to reopen the long-closed 4-year investigation. Those conspiracy theorists are nothing but true believers that the airliner was shot out of the sky and everyone who knows the truth is keeping mum. 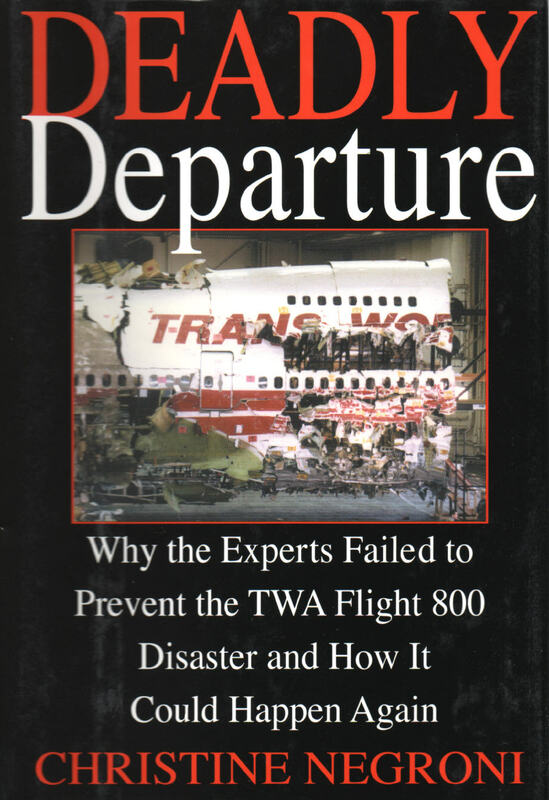 I will mention however, that their never-say-die challenge to the official report has also rekindled interest in Deadly Departure, my book on the crash, now re released by HarperCollins as an e-book and available here. And yes, that IS a shameless plug. The crash of Asiana 214 was a deadly reminder that no matter how sophisticated airplanes get, the human at the controls is an integral partof the safety system. Are planes being designed to work with or at cross purposes with the flight crew? Are pilots trained and current in the critical business of remaining ahead of the aircraft? These are the important questions arising from the accident. At the same time one can’t watch video of the Boeing 777 cart wheeling up on one wing as it careens down the runway at San Francisco International Airport and not be impressed with how advances in seats, belts and cabin interiors contributed to the fact that so many people survived. Well by the end of the year, the other Dreamliner fire, the one that caused the top of Ethiopian’s Queen of Sheba ET-AOP to smolder while waiting at a remote stand for its scheduled flight to Addis Ababa had been fixed by Boeing and the plane flew off into the sunset before Christmas while airline boss Tweolde Gebremariam surely hopes that’s the last time his game-changing airplanes make news. During this year I took a tour (by bike!) of Calgary’s growing-like-gangbusters international airport, flew in a sea plane on Harbor Air in Vancouver and traveled on JetBlue’s inaugural flight to Port au Prince,Haiti – an airline’s vote of confidence in the often maligned island nation. At a meeting at New York’s Wings Club I met and fell in love with the air show aviatrix Patty Wagstaff. 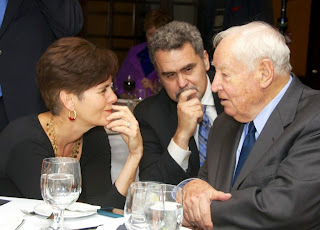 At a Lufthansa awards dinner I conducted a fawning interview with Joe Sutter, who oversaw the creation of the Boeing 747. It is with some sorrow that I learned that the magnificent Queen of the Sky is on the wane, but her sizable appetite for fuel has led many airlines to make plans to fly into the future without the 747. I’ll be reporting more thoroughly on that in an upcoming issue of Air &Space. My flying year ended on two Austrian flights on which I was blessed by the sight of not one but two pilot’s halos. The first I spotted over Vienna where I was covering the news that after a 4 year interruption, Air India is back on track to join the Star Alliance. Then, as my Boeing 777 approached the airport in New York I saw another. While all that was thrilling, so was the completely unexpected sight of a United airliner on departure just below my plane returning me to my beloved Connecticut and holidays with my family. How cool is this? This year, dear readers you have bumped FLYING LESSONS up to well over half a million page views. Thank you for following my observations of this business we all love and for contributing your own thoughts, criticism and praise. Yeah, praise. Thanks especially for that. Happy New Year. Happy New Year to you and your readers Christine. You have done a great job at summarising and presenting your aviation perspectives. We are living in one of the most exciting periods in aviation with extraordinary opportunities for businesses that evolve-merge to take advantage of the new flat-connected-competitive and affluent world. The technical future is being defined by the composite, powerplant, battery, UAV and FBW industries. I look forward to reading your 2014 blogs that will include you test flying fixed/rotary wing "Segway" type personal flying devices such as a "Tesla Model H", "Boeing 007", or "Airbus A1". Brava, Christine, for your best year yet. And Captain de Crespigny, Bravo! 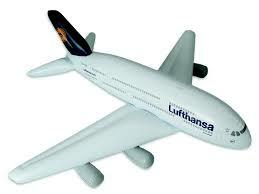 to you for your role in bringing your crippled QANTAS A-380 down safely. You have truly joined that select group of aviation giants. Bravo right back at you Ira and Richard. You are heroes in my book for what you have done to make aviation safer. Best of 2014 to both of you. With respect to Chairman Hersman's comment, "….we've got to figure out how to mitigate these risks." I am not sure if she was referring just to lithium batteries or aviation risk in general, but I would be interested to know what the alternative to mitigation might be. I will agree, however, that some strategies are better than others. 2014 has gotten off to a troubling start. Runway excursions in Aspen and JFK. Both aircraft were not experiencing any problems before landing. Clearly ineffective risk mitigation. Hopefully your blog will be filled this year with stories of irate customer service agents and cranky passengers and lots of beautiful sunrise pictures. Hersman was actually referring to the lithium ion batteries, in our possession and on the airplanes in cargo. She was having the conversation with me, that's why I am sure of the context. As for hoping for more irate customer service agents and cranky passengers, I presume that is because news of their activities is preferable to the alternative? Best of the New Year to you, Jim. Fly safe and keep on mitigating those risks!